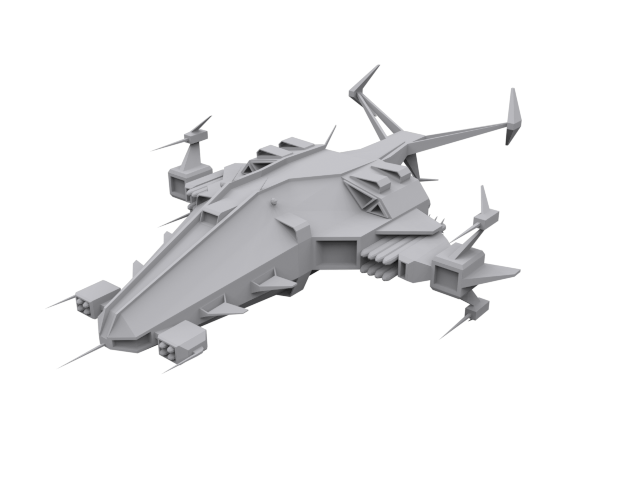 The recent developments on the battlefield forced the army to create a new ship that could accompany their main forces during offensive strikes on enemy outposts. This is a bomber belonging to the "Cobra" ship family. It is packed with missiles to the point where it could take out several dozen objectives in a single round before heading back to the base to rearm. Its simple presence makes everyone think twice whether to enter it's defensive perimeter or flee as fast as possible. 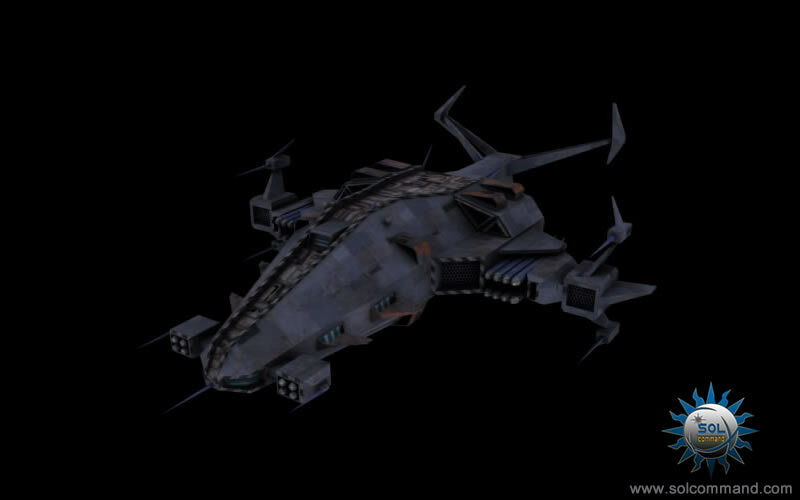 This is just one of those ships that no one wants to go against .... thus being a key addition to the military presence in the border worlds which are now under constant threat of pirate and guerrilla attacks.